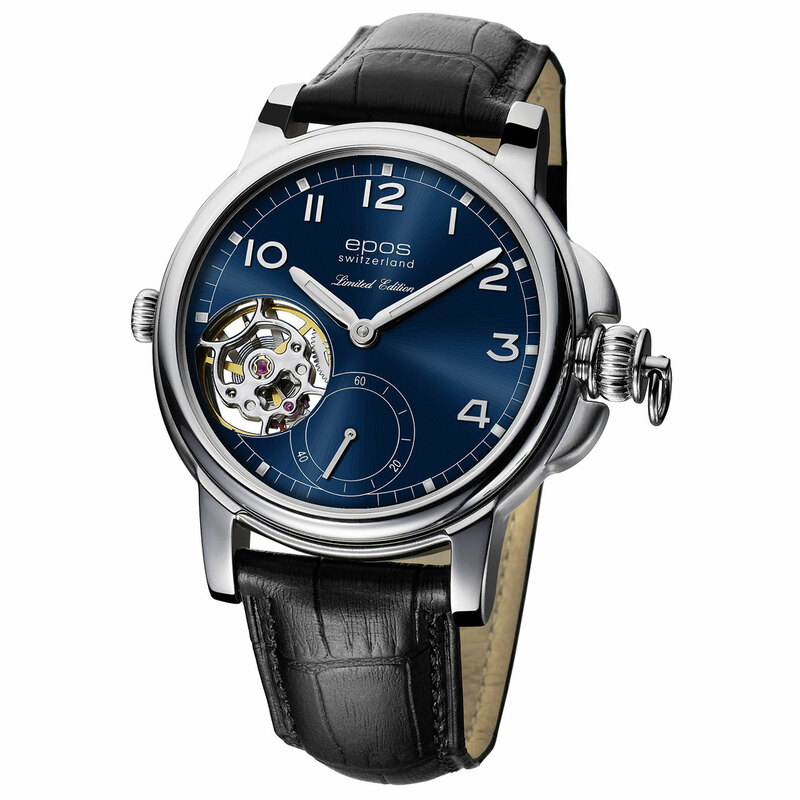 The latest opus in the Œuvre d’Art collection from Epos, this mechanical prodigy assembles different aspects of watchmaking in which the brand has excelled for close to a century. This ingenious and fascinating Reference 3419 can be carried as a pocket watch, worn as a wristwatch, or time can be completely concealed. As befits such an exclusive timepiece, it is proposed as a limited series of 222 pieces for each rendition of the dial – dark grey, blue or silver. Its heart beats to the semi-skeletonised Unitas 6498 calibre. 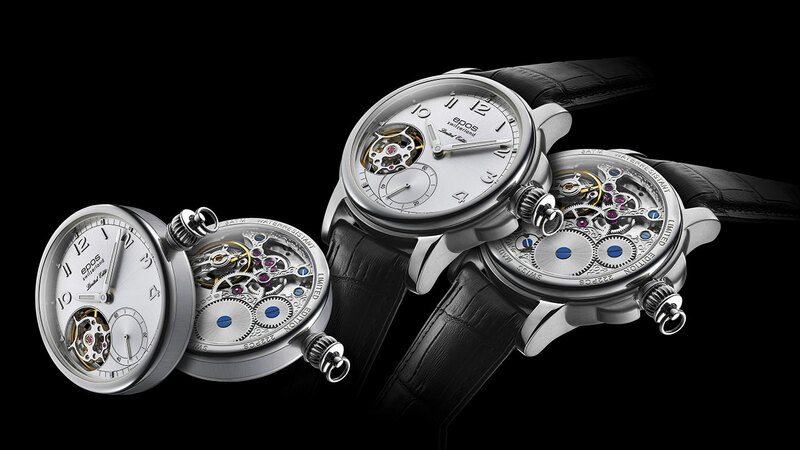 The beauty of the movement finishes can be admired through the transparent case back, while a foretaste of these mechanical wonders is given on the dial side, through an opening which reveals the balance wheel at 8 o'clock.